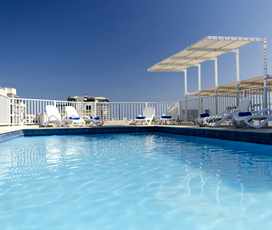 For a luxurious, unique stay in the middle of the Mediterranean, come along on one of our boutique holidays in Malta. We have combed the Maltese archipelago for charming properties where you can relax in an intimate and distinctive setting. 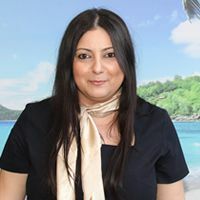 In the bustling harbour town of St. Julian's Bay you will be impressed by their top-quality yet personalised service as well as their perfect location near the sandy beach and translucent waters of St. George’s Bay. Enjoy a seasonal dinner before heading out for a night on the town with Paceville right on your doorstep. For a slightly more tranquil Mediterranean getaway, head inland to the ancient town of Mdina. The former capital of Malta radiates history and goodwill. 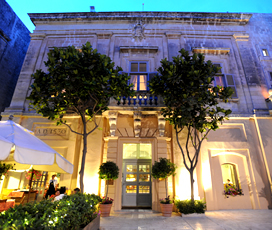 Located within the heart of the walled city you will witness the epitome of Maltese architectural grandeur. 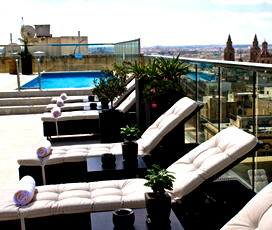 Let yourself be pampered by soothing spa treatments and enjoy a refreshment on the terrace while gazing out over Malta. If you truly want to get away from it all in utmost serenity, head out to the stunning island of Gozo. 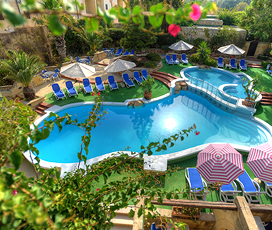 Gozo is renowned for its pristine countryside, and our boutique hotels offer views in spades. Expect the utmost luxury at this beautiful location. All this and more awaits you on one of our Malta boutique holidays, so get in touch to plan your bespoke vacation today.